When I left for Australia, I wrote a few posts that I scheduled to go up on this blog while I was gone. One of them was "Homeward Bound," as we were thinking of it for our sister Sandra, who we knew was going to die within weeks or even days. Fortunately for her, she did not have to suffer long. She died while I was on that trip, and so it was doubly appropriate that the song appeared when it did. 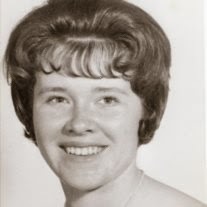 As our cousin Cris wrote, "I am sorry for the families involved that deal so closely with the loss of a very loved family member, but I cannot help but think of the joy that must also be in the heart and spirit of Sandra to be released from the body in which she has been trapped for so long that has been such a challenge for her." And, as Ellen wrote to us later, Sandra continued in faith and courage until the end. And I've figured out that the universe is not being "unjust," nor does God let things happen to His children out of indifference or hardness or anything except His infinite love. I'm sure that if I could see Sandra now, she would tell me, as our grandmother and mother told us, from the perspective of that other side of the veil, that this earth's life passed by quickly compared to the eternal vista they're enjoying. 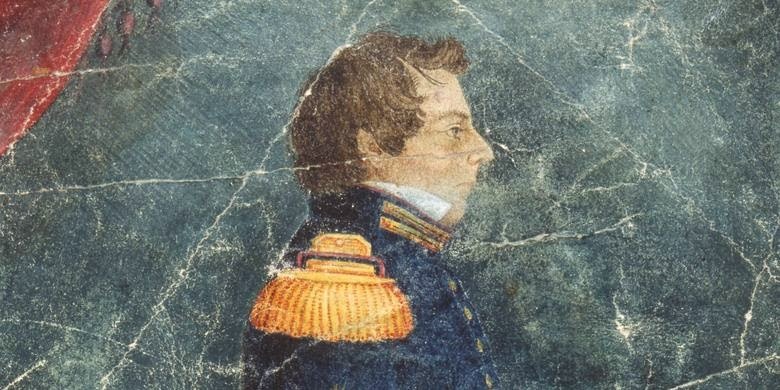 I found this in an online article about Joseph Smith. I've taken out the footnotes and references, but you can find them by going to the original article, "Out of Weakness He Shall Be Made Strong." I'm fascinated by stories of ancient and modern prophets. I liked this story because it showed how meek Joseph Smith was. And not in the way we usually think of "meek," like "meek as a mouse," but in the true meaning of the word---like Moses, who is called, in Numbers 12:3, "very meek, above all the men which were upon the face of the earth." Madame L here, with this recommendation: Read this book! 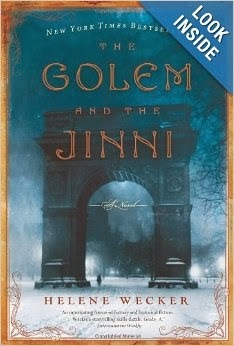 "The Golem and the Jinni" is like no other book Madame L has ever read. We all know what a golem is, right? It's a super-strong creature made by a human (generally a rabbi dabbling in secrets he knows are dangerous), made of earth, bound to its master, with no will of its own. It's often created to get revenge, and once it starts down the path of revenge and anger, there's no stopping it. And we all know what a jinni is, right? It's one of God's creations, somewhere between humans and angels, made of light or fire, with a will and power of its own, able to interact with humans, but usually dangerous to them. So, what if a golem and a jinni both arrived in New York City around the same time, and interacted with humans, and eventually with each other? This book will have you entranced by the characters, not just the golem and the jinni, but the humans all around them. You'll be rooting for the golem and the jinni, you won't want to put the book down until you find out what happens to them. But is Madame L going to tell you what happens? Not on your life. Read the book. Madame L found her copy at the Powell's at PDX, but it's available online at Amazon.com, too. And for once Madame L is not offering to loan her copy to anyone. She's saving it to re-read and savor at least one more time. My mother had a theory about how rich people get rich: They are greedier than the rest of us, and they don't care about the same social niceties the rest of us care about. So while we little minnows are swimming through the social seas, being oh so nice and polite to each other, they are roaming among us like sharks, taking what they want. I attended some kind of Relief Society function with my mother once. We helped the sisters open their dishes of chicken noodle casseroles and funeral potatoes and jello salads and special jello chiffon desserts and arrange them on the serving table. We'd brought a dish, too, though I don't remember what it was. At the end of the luncheon, we all helped clean up, washing dishes and so on. Mother gestured toward a certain woman who lived in the biggest and most ostentatiously decorated house of anyone we knew, who was covering up her dish and leaving without helping with the clean-up. Mother said, "See how she did that? She brought a dish, just like everyone else, but she put it in the back, and let everyone spoon their helpings out of the other dishes. Then, when the lunch was over, and the other ones were all used up, and hers hadn't even had one spoonful taken out of it, she took it home with her." In fact, that lady said, loudly and to no one in particular, "Oh, it looks like we had enough without it. My husband will be glad to have some of this for dessert tonight." How do the rich get rich? By taking advantage of the rest of us. Here's another person, Cary Tennis, expounding that same theory, responding to a letter-writer who asks, "Why do the rich think I'll work for free?" If you have no seething, grinding contempt for the rich, I suggest you acquire some. You can do so free of charge. The rich won’t mind. They will respect you for it. They understand contempt. Besides, if you do not acquire this contempt, they will take from you everything you have. They will walk all over you. How else do you think they got so rich? Possibly this is an issue for Madame L, but I think she would have the same answer as my mother, and Cary Tennis, and me. And, yes, I do have "seething, grinding contempt for the rich." I really do. When adventure's lost its meaning, I'll be homeward bound in time. Bind me not to the pasture. Chain me not to the plow. Set me free to find my calling and I'll return to you somehow. To your thought I'll soon be list'ning; in the road I'll stop and turn. Then the wind will set me racing as my journey nears its end,And the path I'll be retracing when I'm homeward bound again. When the sparrows stop their singing, I'll be homeward bound again. I thought this was so cute---and apparently everyone else thinks so, too. If you go to YouTube to find this video, you'll find lots of older ones. I like this one because it reminds us that elephants are endangered, and the World Wildlife Fund is working to save them. I guess there's nothing cuter than baby elephants. Am I right? And then there's the song, "Baby Elephant Walk," which I learned to play as a child taking piano lessons. Like the person who posted this video to go with the music, "Ich liebe Elefanten!" “The judge sat and listened intently. He asked some very pointed and searching questions, and at the end of the interview he said, ‘Mr. Brown, I wonder if your people appreciate the import of your message. Do you?’ He said, ‘If what you have told me is true, it is the greatest message that has come to this earth since the angels announced the birth of Christ’” (in Conference Report, Oct. 1967, 118, 120; see also “The Profile of a Prophet,” Ensign, June 2006, 36–37, 39). Performed in the film by Idina Menzel, "Let It Go" was a "game changer" to the film's production, according to "Frozen" co-director and writer, Jennifer Lee. "The song was so special that I literally had to rewrite a lot of the movie to support that song," Lee, who is suffering from the flu and found out about her Oscar nomination while resting in bed, said. "We were so grateful, because a big part of what makes 'Frozen' so special is anchored from that song. Thematically, that was the day Elsa [Menzel's character] became more interesting. She wasn't just a villain. That's the day she became somebody who you could really care about. So I think of that, and to have 'Let It Go' be recognized just means everything." "We write because we must," says Christopher Luna, who with his partner Toni Partington helps poets write, perform, and publish their work. 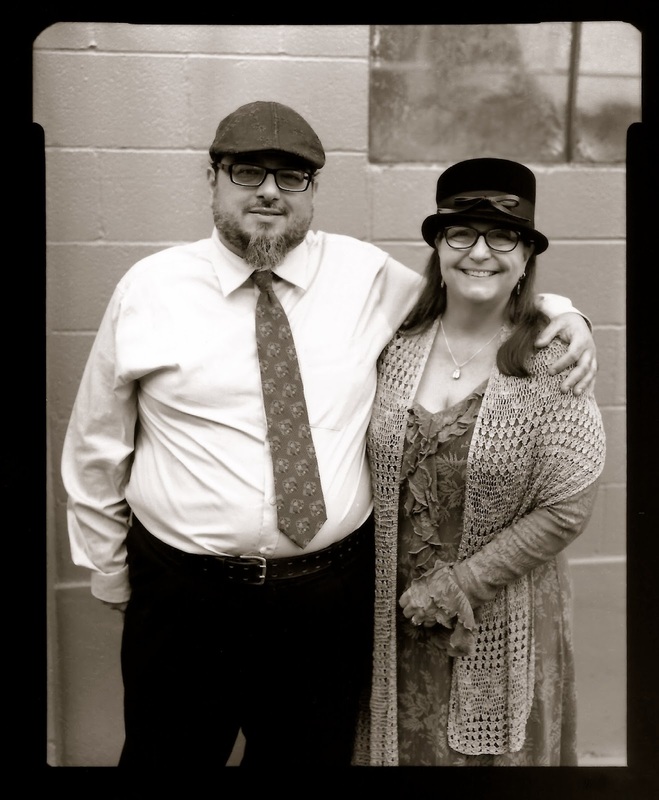 Here are photos of Christopher Luna and Toni Partington, who created the whole Ghost Town Poetry series and edited this volume (and the first one), and the front cover of the book. I'm proud to be one of the poets included in the second volume. My poem couldn't have made it into this volume without Toni's editing help. And it never would have been written in the first place without Chris's help. Thanks to both of you! Ghost Town Poetry Volume Two commemorates ten years of open mic poetry in Vancouver, WA. Christopher Luna founded the popular Ghost Town Poetry Open Mic reading series at Ice Cream Renaissance in November 2004. In 2007 the series moved to Cover to Cover Books, and Toni Partington joined Luna as a co-host. In 2011 Luna and Partington co-founded Printed Matter Vancouver, an editing service and small press which previously published Ghost Town Poetry, which includes poets from the first six years of the series, and Serenity in the Brutal Garden, the debut collection by Vancouver poet Jenney Pauer. 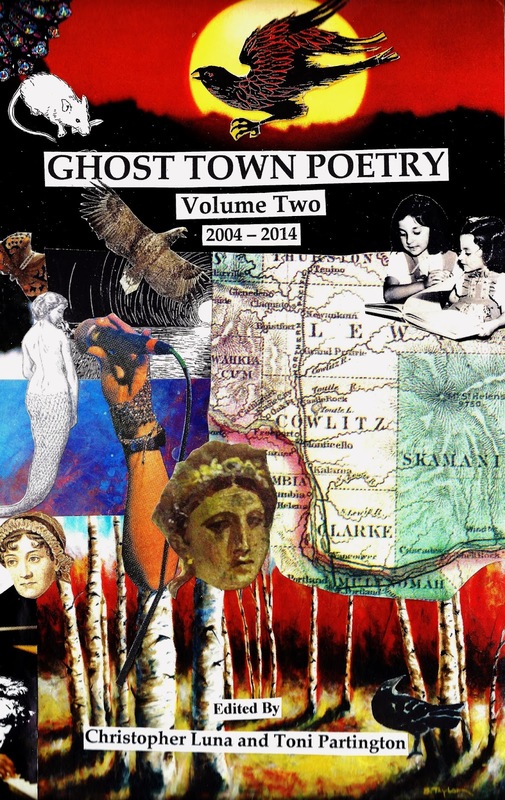 Like its namesake, Ghost Town Poetry Volume Two is “all ages and uncensored.” The anthology includes poems from the following local and national authors, each of whom has read at the Ghost Town Poetry Open Mic. And, by the way, the couple were just featured in an article by Dean Baker in The Oregonian. You can find the article here. Madame L has just heard that Hirao Miyazaki is releasing what he says will be his last animated feature, "The Wind Rises." According to the Slate article, the film won't be shown in North America until September, at the Toronto International Film Festival, and "it doesn’t yet have its U.S. release date." If you're not familiar with Harao Miyazaki's work, you should run, not walk, to your nearest library or video rental place and snap up a copy of "My Neighbor Totoro," "Ponyo," or "Howl's Moving Castle," three of Madame L's favorites.